Around the world, ABB is pioneering solutions that harness clean energy from the sun to power sockets at home and at work. Rising pollution levels and the resultant global warming pose a real threat to our planet. As countries join forces to combat this danger, they are looking at cleaner and more sustainable ways of living that do not consume the Earth. Significant progress has been made in the last few years, with solar energy taking a definite lead in terms of adoption. According to Frost and Sullivan solar capacity around the world grew to 101.6 GW last year, almost double that of 2015. At Intersolar 2018 in Munich this week, ABB brings its wide range of solar solutions under one roof. 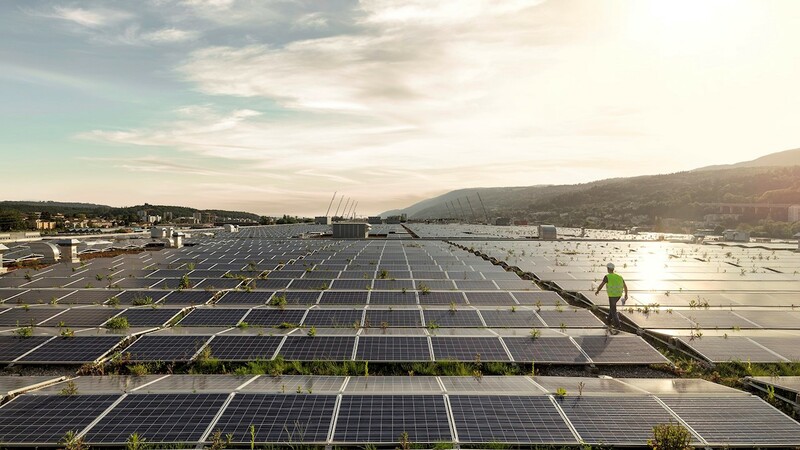 Using ABB Ability™, the company’s digital offering, inverters and storage solutions can utilize intelligent control through digitalization tools, which manages overall system efficiency to deliver safer, cleaner and more sustainable solar plants. ABB has been nominated in the Product of the Year category at the prestigious Intersolar awards for its new high-power string inverter, PVS-175-TL, which forms part of its portfolio that firmly raise the bar in terms of driving next generation solar energy systems. ABB provides the most comprehensive range of solar products for power generation and building applications, along with future-proof energy storage solutions in residential buildings. For instance, REACT 2 energy storage solution, which increases energy self-sufficiency to up to 90 percent, while harnessing solar energy at more affordable costs. Such products will be critical in powering smart buildings to reduce energy consumption worldwide. Already, ABB’s solar solutions are bringing, reliable renewable energy to towns and cities around the world, benefitting millions of people while furthering nations’ goals to increase renewable power in their energy mix. 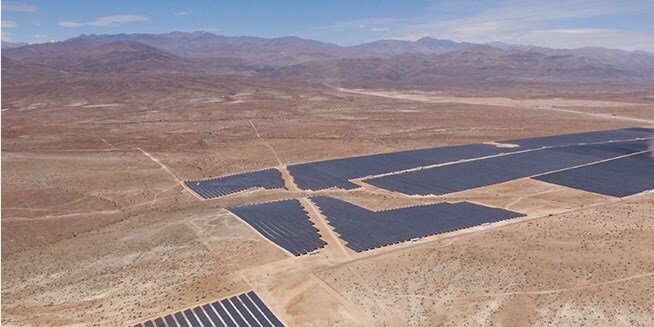 ABB’s solar solutions are powering the El Romero Solar Plant in Chile’s Atacama region, one of the driest places in the world with extreme temperatures. Built by ACCIONA, a Spanish power producer, the plant is the largest such installation in Latin America and supplies electricity to datacenters that are major consumers of energy. ABB’s inverters, transformers and monitoring systems ensure uninterrupted delivery of renewable energy to the datacenters, helping global technology companies drive more of their business with clean power. Using ABB Ability™, the state-owned electric utility in Tamil Nadu, India, was able to integrate five plants into a single virtual project, making it the world’s largest solar plant in one location. ABB has also supplied string inverters, substations, switchgear and transformers that make it possible for the plant to supply clean, reliable energy to the state’s 23 million households. ABB’s solar plant at Shizuoka, Japan, supplies energy to the grid as part of a partnership with the Tokyo Electric Power Company. The rooftop power plant, located at ABB Bailey Japan, has cut the factory’s carbon dioxide generation by half, thereby ensuring renewable power to thousands of homes, while reducing ABB’s carbon footprint. 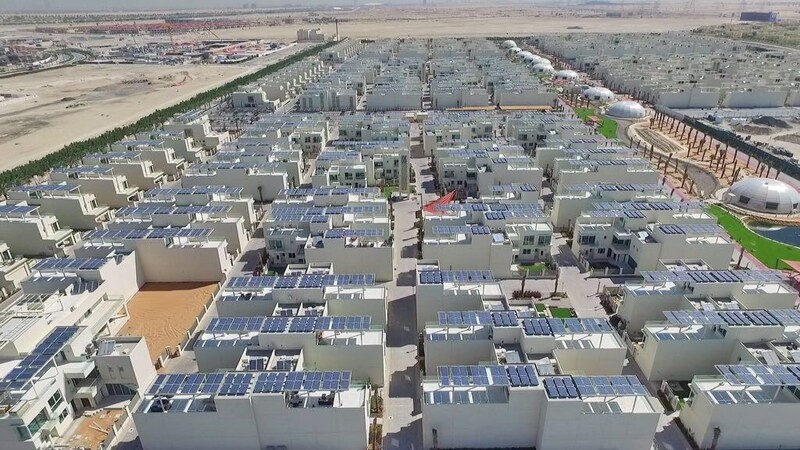 In the Middle East, ABB is powering Dubai’s Sustainable City, a fully-integrated, solar-powered settlement, spread over 500,000 square meters. ABB has supplied equipment that can withstand high temperatures in the desert region and will be used to power street lights, urban farms, electric vehicles charging stations and car parking facilities. ABB has pioneered smaller projects as well. For example, Robben Island – a World Heritage Site in South Africa - is benefitting from a new solar-powered microgrid with ABB Ability™ solutions to drastically reduce the use of diesel generators, leading to a greener environment and cleaner sea. ABB offers one of the broadest portfolios of sun-to-socket solutions. Its cutting-edge technology, which takes center-stage at Intersolar 2018, will further strengthen its portfolio and global footprint to support cleaner and more sustainable solar energy around the world.